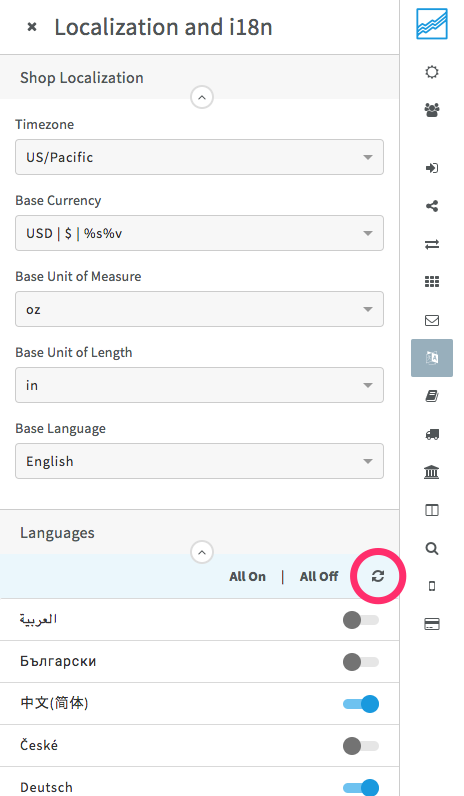 To customize your shop's default currency, language, and other localization features, login to your dashboard and click on the Localization and i18n icon. Select your shop preferences from the drop-down menu. We offer translations in over 20 languages, including right-to-left languages like Hebrew. To enable or disable a language, toggle each option on or off. 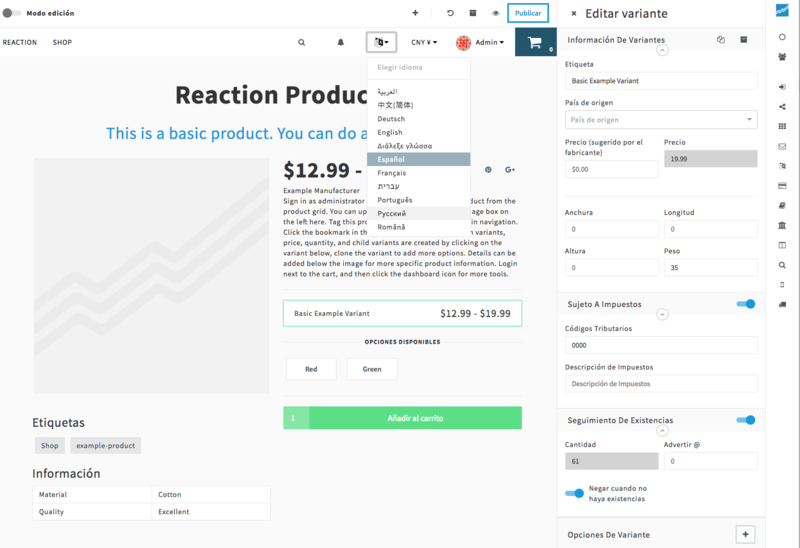 Translations can be reloaded in the Localization and i18n dashboard panel using the reload button. This will reload translations for the current shop. As the owner of the primary shop, you may also alt + click or option + click on the reload button to reload translations for all shops.